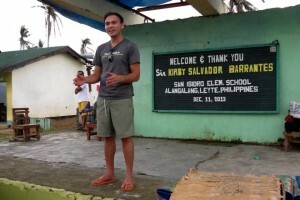 Kirby Barrantes visits the classrooms of Brgy. San Isidro Elementary. “I think I’ve always had an organization. I just didn’t realize it,” says Kirby Barrantes. “My organization has always been my heart”. An Occupational Nurse Consultant for the State of Washington Labor and Industries, Kirby grew up in Alangalang, a small town on the island of Leyte in the Philippines. Kirby has always been driven to help others and give back, but when disaster struck his hometown, he decided to take his charitable acts to the next level. After a typhoon devastated Kirby Barrantes’ hometown, he raised funds to help rebuild the town and nearby Brgy. San Isidro Elementary. 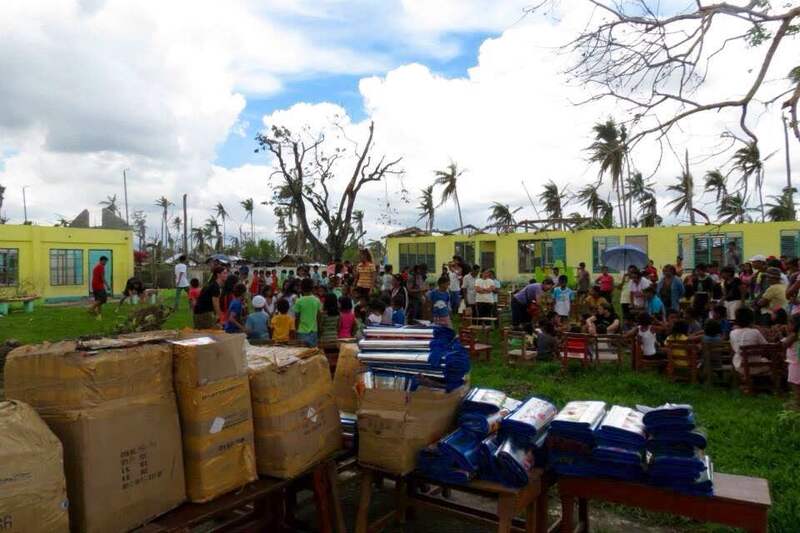 In November 2013, Typhoon Haiyan, one of the strongest tropical cyclones ever recorded, hit the Philippines leaving behind death, destruction and even more struggle for its already impoverished residents. 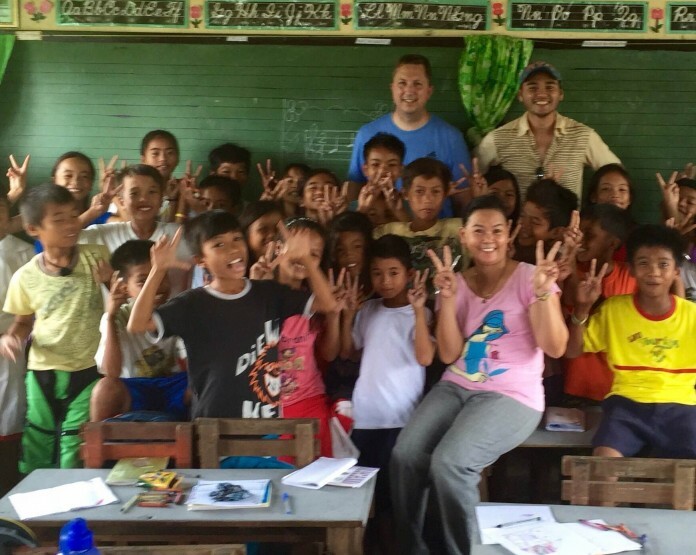 Kirby visited Alangalang just one month after Haiyan hit to see the destruction firsthand. “When I got there, it was like the typhoon had just happened yesterday — they lost everything,” says Kirby. Kirby was so heavily impacted by the typhoon’s aftermath that he felt compelled to take action. He was able to raise almost $10,000 through a GoFundMe account and a generous donation from Long Prairie Grey Eagle Public Schools in Minnesota. 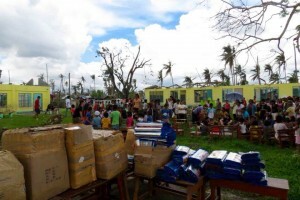 The funds went toward providing relief items such as pillows, blankets and mosquito nets to the survivors, as well as rebuilding the capital of Leyte, Brgy. San Isidro. Although Kirby’s donations greatly helped the Alangalang community’s post-typhoon recovery, Kirby knows that there is still work to be done. Backed by his passion for education and the support of his friends, Kirby recently decided to expand the work he began with Brgy. San Isidro back in 2013. Kirby Barrantes was able to raise nearly $10,000 to help the people of his hometown. 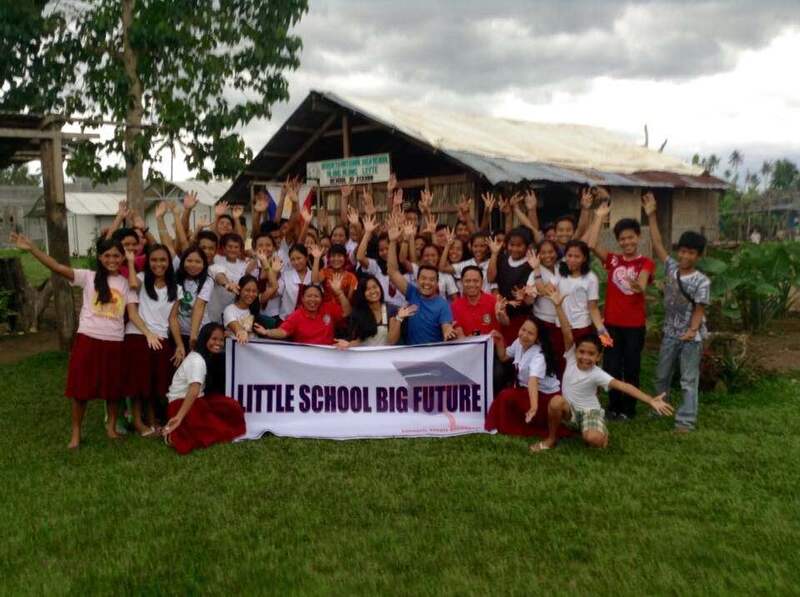 Kirby is the founder of a new non-profit organization called Little School Big Future, which strives to assist students living in rural Alangalang with their education so that they can one day secure a career. “For me, education is something that no one can take away from you. If you have it, you own it,” says Kirby. “If you have a lot of money, you can go poor. Someone who has an education will always have wealth”. Kirby was fortunate enough to have grown up in a middle-class family in Alangalang. His parents were well known in the community and his ambitious mother was able to send him and his four siblings to private school and college. For as long as Kirby can remember, he dreamt of being a doctor. Thanks to his education, he was able to achieve his dream of working in the medical field. Now Kirby wants to help less fortunate children achieve their educational dreams. Kirby Barrantes is the founder of nonprofit organization Little School Big Future. “All of these kids in the Philippines want to go to school but can’t afford it. I’m not saying we have to make it our responsibility here, but if there’s anything we can do to help, we can show them that there’s something greater outside of where they live,” says Kirby. Kirby is hopeful that one day, a beneficiary from Little School Big Future will empower us all. To those interested, donations are tax deductible. To learn more about Little School Big Future, visit the non-profit’s website.